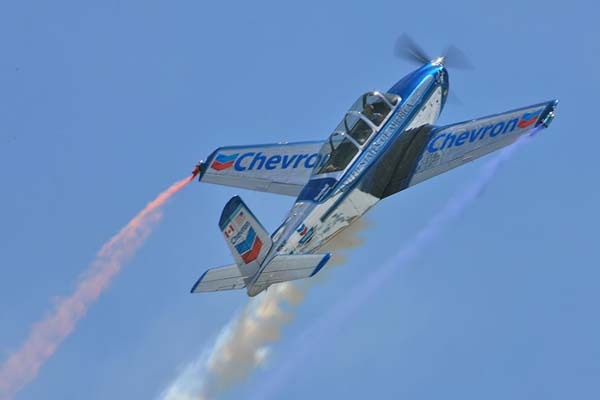 With a personality that shines as brightly as "Free Spirit", her restored CHEVRON MENTOR T-34, Julie Clark takes the CHEVRON MENTOR to the limits of its’ operating capability as she entertains millions of people annually, averaging 20 to 25 shows each year. 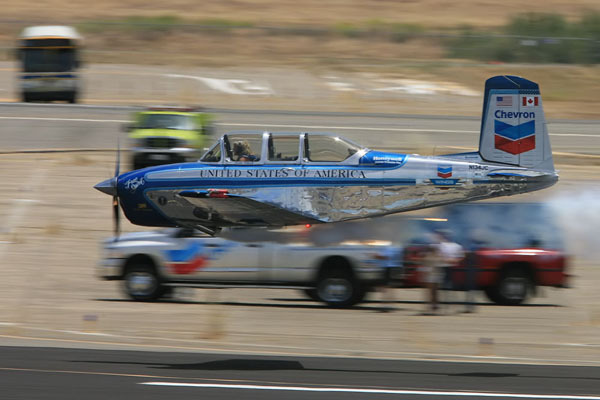 She has appeared in the biggest air shows in the United States, Canada and the island of Bermuda. 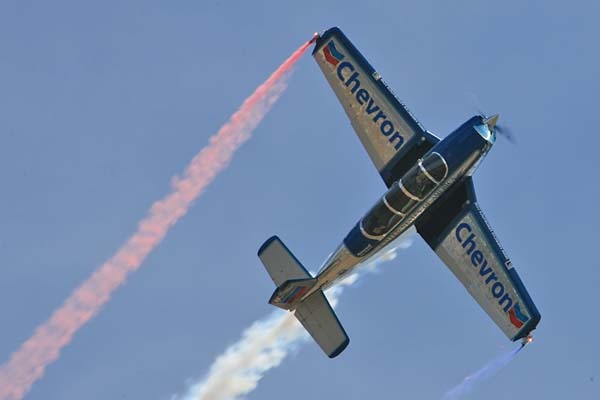 The CHEVRON MENTOR T-34 demands tremendous skill to fly aerobatics, requiring great pilot co-ordination and anticipation. 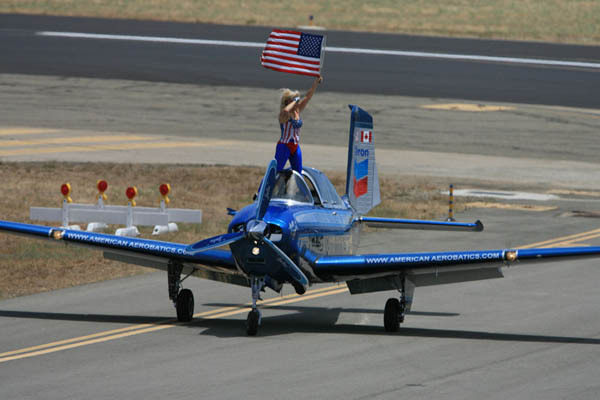 Julie’s aerobatic routine is truly remarkable in its beauty and splendour. More remarkable is the elegance she exhibits in an airplane whose flying manners could best be described as rugged. Her unique presentation of "Serenade in Red, White and Blue", with a special added patriotic tribute, is breathtakingly choreographed to Lee Greenwood’s "God Bless the USA" or "God Bless You Canada". 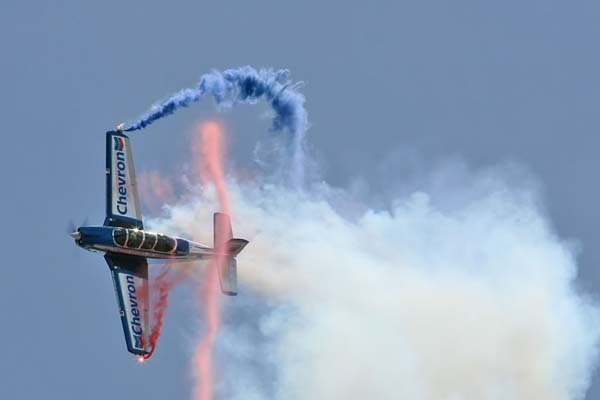 Multi-colored wing-tip smoke is used, concluding with a dazzling fireworks finale. 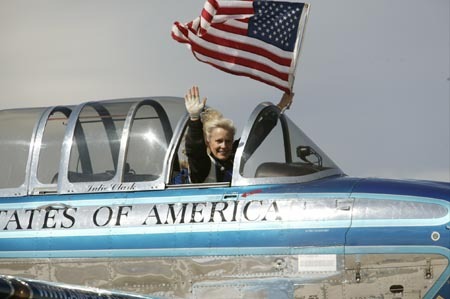 After more than 24 years as an aerobatic air show pilot, Julie Clark has earned not only the admiration of fans everywhere, but also a long list of awards and honors. Her most recent and perhaps highest honor came in March of 2002. Julie was inducted into the Women in Aviation Pioneer Hall of Fame during the WIAI Convention in Nashville. The Hall of Fame is to recognize women who have made significant contributions to the aviation industry as record setters, pioneers or innovators.